at The Legion of Honor in San Francisco with detail of pierced interwoven moulding molding with oak leaves and the pearl beading to the skirt - Ornapedia . 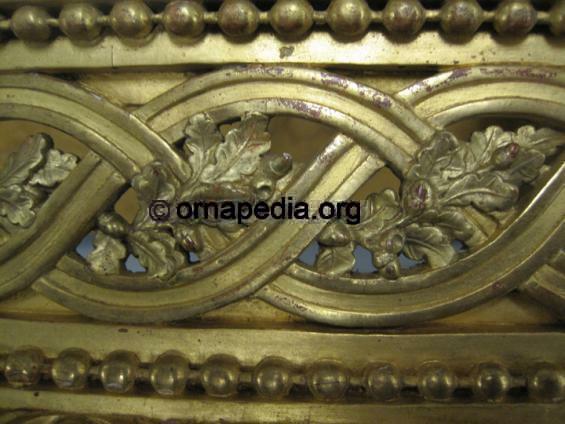 Description: 18th French Century Kraemer console table, at The Legion of Honor in San Francisco with detail of pierced interwoven moulding, oak leaves and pearl beading to the skirt. Read more about 18th French Century Kraemer console table.